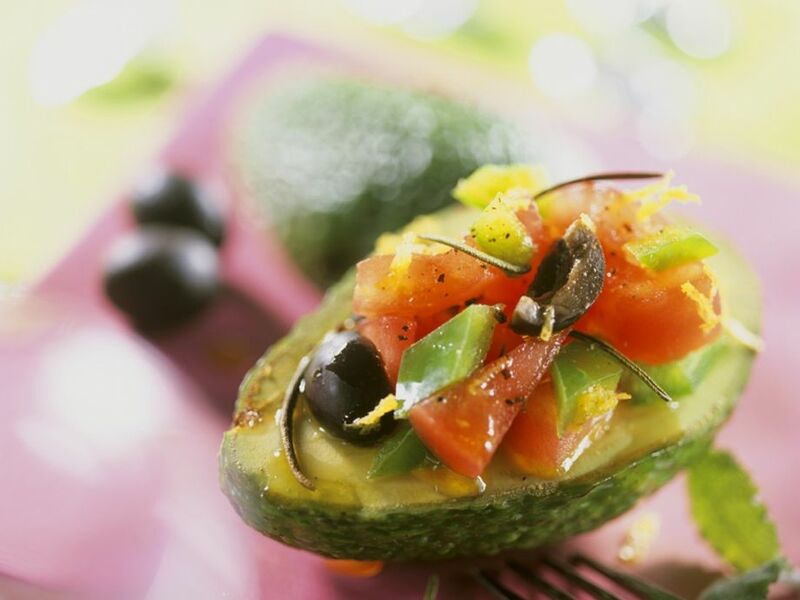 1 Cut the avocado in half and remove the pit. 2 Blanch the tomato in hot water, rinse, peel, quarter, remove the seeds and dice the pulp. 3 Rinse the green paprika, halve, remove the seeds and ribs, and dice. 4 For the salad, cut the olives into quarters and add with the tomato and paprika in a bowl. Mix with lemon juice, balsamic vinegar and olive oil, and season with salt and pepper. Stuff the salad equally into each avocado half. 5 Serve garnished with lemon zest and rosemary.